There are so many amazing dogs out there, and of course, many owners would like to share the joy their dogs bring them by certifying them to be Therapy Dogs. Imagine taking your dog to hospitals, schools, and community events all with the goal of making others happy. The power of a dog’s love and affection has been proven to over time to heal. If you have that kind of dog, here is what you need to know. Let’s begin by clarifying what a therapy dog is and what they do. A therapy dog is certified by one or more of the many organizations that exist (see link below) that have connections with hospitals, schools and nursing homes. These organizations develop tests that your dog can take so that they can give their seal of approval (or certification) to be sure your dog is qualified for therapy dog work. Once your dog passes their test, they work with you to set up volunteer opportunities for you and your dog. What is a Therapy Dog vs. Service Dog? “Therapy dogs are not service dogs. Service dogs are dogs who are specially trained to perform specific tasks to help a person who has a disability. An example of a service dog is a dog who guides an owner who is blind, or a dog who assists someone who has a physical disability. Service dogs stay with their person and have special access privileges in public places such as on planes, restaurants, etc. Therapy dogs do not have the same special access as service dogs. What is the first step to becoming a Therapy Dog? Obedience training, manners training and socializing your dog are the keys to becoming a certified therapy dog. Your dog must know all of the basic commands and respond to them in all types of environments. Your dog must listen well, not jump on people, not pull when on leash and be warm and welcoming to all people and accepting of other dogs. He must do this with a high level of distraction. How can Sublime K9 Dog Training help my dog become a Therapy Dog? At Sublime K9, we have programs starting as young as 8 weeks of age. The younger you start training, the better. We start with the basics and work with you and your dog until they are ready to pass the test for the therapy dog organization of your choosing. If you aren’t sure which organization you want to work with yet, that’s ok! 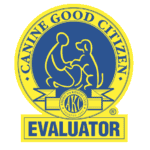 We are certified evaluators for the American Kennel Club Canine Good Citizen (CGC) test. This test is the basis for most therapy dog tests and once your dog passes this, they are more likely to be accepted into a program. 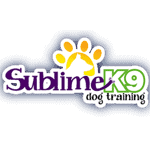 Sublime K9 Dog Training will help you and your dog prepare for the CGC or any other therapy dog test. Our trainers can get you where you need to be! We break down the items of the test and practice in the scenarios that your dog will be tested in. After completing one of our training programs, we can set up a test date to get your dog certified! Then you can get started volunteering and sharing the joy your dog brings.